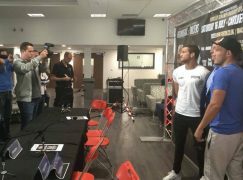 Cardiff’s super-welterweight Jamie ‘JJ’ Evans (4-0) gained valuable experience against an ambitious William Warburton (23-108-9, 4KO), who has often been a bogey man for Welsh prospects. 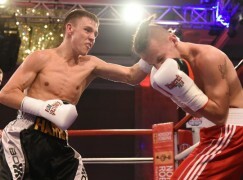 The 21-year-old took a competitive 40-38 points win to continue his development on the undercard of Sanigar Events’ ‘Crunch Time’ show at the Rhydycar Leisure Centre in Merthyr Tydfil. Warburton is arguably Britain’s best ‘journeyman’ and is no stranger to springing an upset from the away corner. 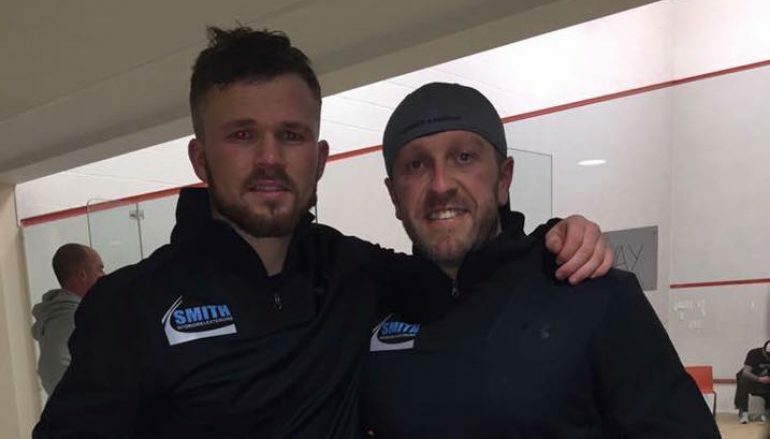 The Atherton native has taken many unbeaten records, including those of the Rhondda’s highly rated Lewis Rees and Swansea’s Mano Lee. The 108 loses on Warburton’s record doesn’t do any justice for the veteran’s ability and Darren Wilson, Evans’ experienced trainer and cornerman, was keen to stress caution from his charge to start with. Evans obliged and gradually warmed in to the contest. Initially, the 10-time Welsh amateur champion focused on straight shots from range. They were sent down the pipe and found the target to bank the first and second rounds. As Warburton began to venture forward, it enabled openings for Evans who found the room to spin the visitor and score with short hooks on the inside. Those sharp counterpunching attributes are ones the southpaw hasn’t yet shown in the paid code, mainly because opponents have been mesmerised by his movement at length. Those replies would become rarer in the third round and although Evans was never in danger, he was cruising which allowed Warburton to gain a short spurt of momentum. Manager Chris Sanigar enthused the Welshman to ‘show some magic’ to close the show and Evans attempted to put more meat behind his shots in the fourth, sinking body shots to Warburton’s rib cage. 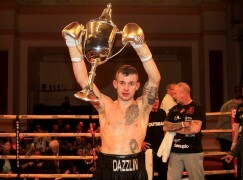 Evans’ crisper shot selection made more of a impact throughout the fight and referee Martin Williams rightly recognised it, favouring the former Splott Boxing Club member by two points.